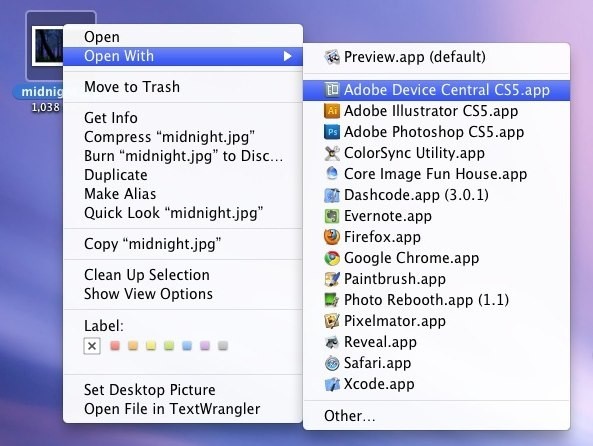 The more apps you install on your Mac, the more bloated your “Open With” menu gets. Some apps that are completely unrelated to the file type may show up in the “Open With” menu and just serve to clutter your choices. This is annoying, so lets restore the menu to what it should have. Now the next time you use the “Open With” menu it will only include current applications in the list. You may need to log in and out of your user account for changes to take effect. The Open With menu is fairly adjustable in its default behavior, you can also learn how to change a file types association across the board or on a per file basis for more specific files. If you liked this tip, check out tons of other Mac tips and tricks.